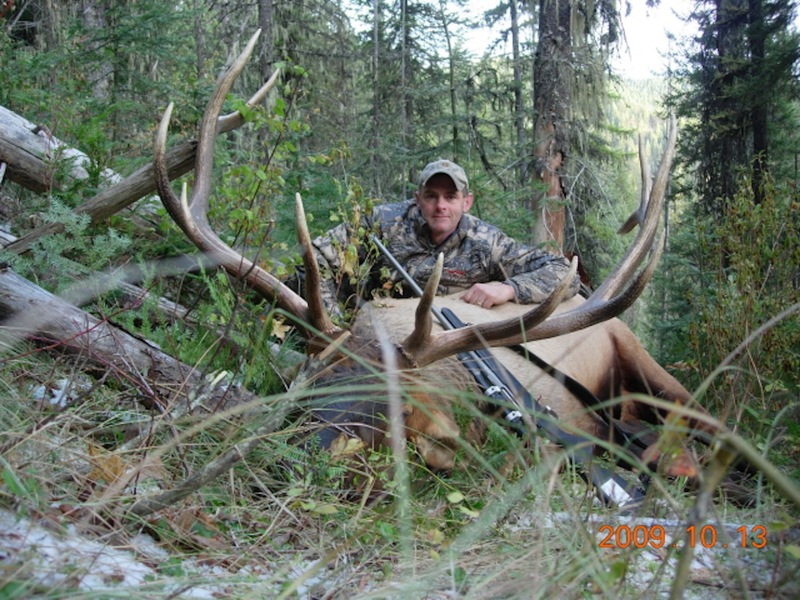 What defines or differentiates the 20% of elk hunters that harvest 80% of the elk year after year? Is it luck, experience, perseverance, dedication, practice, desire, knowledge, work ethic? Is it sheer how bad do you want to harvest a mature bull elk and what are you willing to sacrifice to have that opportunity? Each year thousands of elk hunters will hunt across the west dreaming of harvesting a mature bull, but only a small percentage of those hunters will succeed. What is it that you can do that will give yourself the best opportunity to be successful? 1. Your biggest asset is your body and mental preparation. The opportunity that we all dream about can come down to a critical few seconds. To seal the deal on this opportunity, you have to be able to get into elk country, get out of elk country, and make the shot when presented. A pre-season workout plan of some type will help you enjoy the adventure to the fullest and allow your body to be your best asset while afield. Each of us has many things pulling at us on daily basis; work, life, family, etc, but somewhere in the mix we have to dedicate time to this asset. It does not have to be extreme or a super endurance event, but 45-60 minutes on a treadmill, with a grade of 10-15 can go a long way in preparing you for those elk country climbs; because as we know, the elk and mountains don’t care what type of shape you’re in and the mountains don’t get flatter with time. Additionally, positive thoughts of success and visualization of shot execution will go a long way in making the dream come true. Anyone who has hunted elk has had down days, questioned why they are afield, battled the elements and wondered if the opportunity would ever come. I have been in this mindset, but I keep telling myself, success breeds success and when I’m in doubt, I grab the photo album in my rig and take a quick look. This tends to quickly change my mindset. 2. Practice with your weapon, whether bow or rifle. The weapon needs to be an extension of your body. No one is perfect and I’ve had plenty of learning opportunities through my years. I now religiously practice with my bow starting in June several times each week to give myself 90 days of practice time with the bow. Check all attachments. Are they tight? What can fail while afield? Do you have the ability to repair something should it fail while out? Because as we know, if it can break, it will! Ditto on the rifle. Get to the range and practice. Is the gun sighted in? Are the scope rings loose? Does the sling squeak? 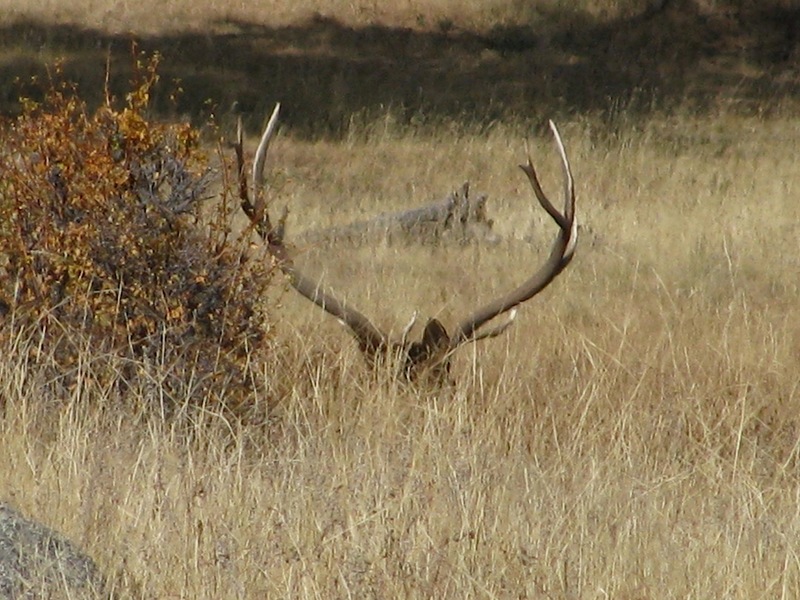 What type of shot can you expect in the area you are hunting? Do you need to practice off hand? What is your effective range for both the bow and arrow and rifle? Not what distance you can hit a barn, but what distance can you routinely place a bullet or arrow into the vitals? 3. The body is ready, the weapon is ready, now it is time to start thinking about the area you are hunting. I have the advantage of residing within 2 hours of the areas I hunt in Idaho and Montana, so I have the opportunity to scout, shed hunt and hike the mountains well before season. Becoming familiar with the area well before hunting season will go a long ways towards your success. Whether this means taking a trip before season to scout, using Google Earth or some other internet resource, this is time well spent. Look for benches in isolated pockets, old rubs and the elk zone as many like to call it. Elk tend to spend 80% of their time in 20% of the mountain range. From my experience this will be far removed from roads, people traffic, motorized vehicles and places where most hunters don’t tend to venture frequently. That is not to say quality bulls can’t be found close to roads, but the majority will be far removed from a road. Elk country is vast and not like hunting whitetails. Bulls will often reside in an area that is relatively small compared to the size of country they live in and if not disturbed, you may have the opportunity to hunt a group of elk for several days in a row. 4. Who is afraid of the dark and what lurks out there? There was a time when I was included in this group, but over time this fear fades as you spend more and more time hiking in the dark. Prime time for elk hunting is early and late. To make it into elk country and maximize each day to its fullest it is best to be in position at daybreak and at dusk. Yes, you may spook some elk getting into position, and yes this may be mean hiking 1-2 hours before daybreak, but the rewards will offset any lost opportunities. During my hunts each fall and into November, bulls will give themselves away by bugling in the dark or you may here cows or bulls mewing well before sunrise. If you’re hiking in at that time, or if you stayed overnight in the area, you will have a huge advantage of knowing where a bull is located. A large part that leads to success, is knowing where a bull is located in their vast range. The one or two bugles you hear can be the difference that day for success. Additionally, you have the opportunity to use other hunters to your advantage as they push game around and you will be in position for glassing or shooting as the bull is headed back to his bedding area. 5. You have to give yourself a fighting chance to be successful and often times this simply can equate itself to the number of days afield that you have available. We hear stories every year of the individuals who harvested a 350 bull his first day ever hunting elk. Yes, this does happen. It does not happen to me, nor most of us for that matter, but everyday afield gives you an opportunity at your trophy. Few can go 110% every day out, so having an easier day afield is better than no day afield or sitting in camp because it is raining. Be prepared for the elements, do your best, maximize your time in the woods and you may be surprised at the results. We wait too long every year for elk season and we all have a finite number of seasons in our lifetime, don’t waste any days if at all possible and give yourself the maximum number of days each year you can find in your schedule. 6. Buy the best gear you can afford. Gear will not bag the elk for you, but today’s gear offers many advantages over the gear available when I began 30 years ago. Better quality gear is lighter, more comfortable and will allow you to remain afield regardless of what Mother Nature throws your way. As noted previously, success often comes down to the number of hours you are able to dedicate out in the woods. I grew up elk hunting when wool was the fabric of choice, along with second hand gear. Don’t get me wrong, wool is still an excellent choice at certain times of the year and you can find me in my lucky red plaid, but more often than not I can be found in the new high tech fabrics that are available. 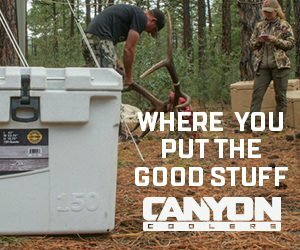 The 2012 season is fast approaching and now is the time to start thinking about what you can do to improve your odds this fall. As with any other activity, the more you prepare and dedicate yourself to the task at hand, the more enjoyment and success you will have. Good Luck this upcoming season. Luck is the one variable I did not mention, as I believe you create your own luck. Ross has resided in the Northwest for 30+ years, grew up in a family of elk hunters and the passion of the hunt was instilled early on when his family would gather in North Idaho for the annual general rifle season. When falls arrives, Ross can be found in the high country of North Idaho and Northwest Montana, with Bow or Rifle in hand. "As long as I am chasing Big Bulls in the backcountry there is a smile on my face. 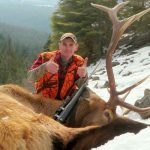 Many would call Elk Hunters an odd lot, as who in their right mind would want to put their body through the trials and tribulations that we do each fall, with no guarantee of success. It takes dedication, perseverance and someone who enjoys hardwork to be successful year in and year out. I like hardwork, so count me in"! Many a fine bull has been taken by Ross' bullet and arrow. To expand his love of the outdoors and his knowledge of Elk, he can be found each spring fervently pursuing Elk Sheds. 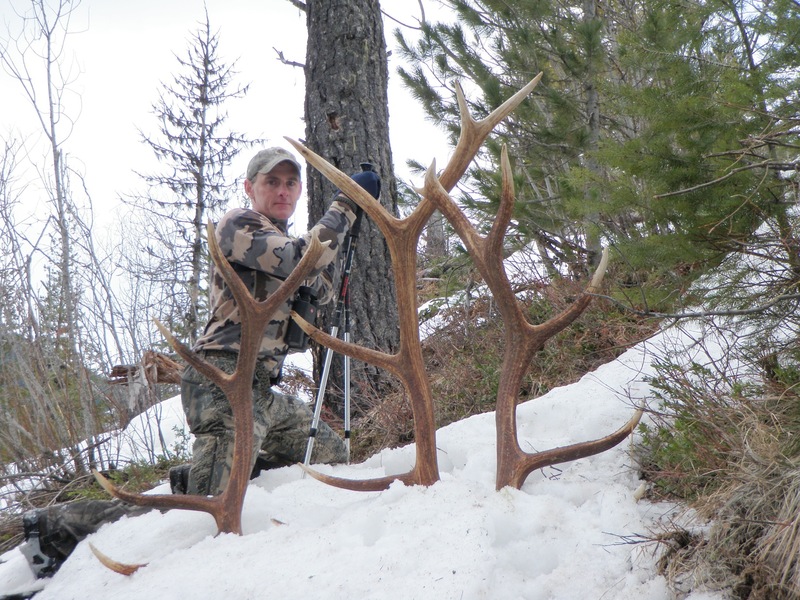 "Shed hunting gives you an arm up on the quality of bulls in the area, expands your knowledge, is great for training and is another opportunity to be in the great outdoors." Ross resides in Liberty Lake Washington, with his wife Kirsten and his shed hunting companion Magnum.